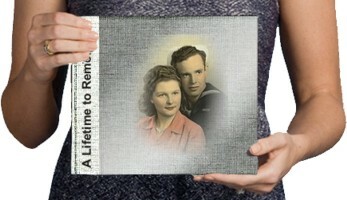 Our Stories Are Us | Build your family history one short story at a time. In every workshop we conduct, there is always someone that has photos in hand as they express regret that they never asked their parents or grandparents who is in the pictures. They regret never having interviewed their loved ones to get the stories of their life experiences. Often the regret goes deeper because in not asking the questions there is only a limited view of who the loved one was as a person. OurStoriesAreUs.com was designed to eliminate this regret and in the process build stronger family bonds. Capturing loved one’s stories is the greatest gift you can give the person and the greatest gift you can give yourself and future generations. Please take this note of caution seriously. Don’t throw away those paper photos and slides you took or inherited! Get them scanned. Use them to help tell the stories and in the process, honor the lives of your loved ones. Start recording your stories or the stories of your loved ones online, right here, right now for a one time payment for as little as $39. When special occasions require hard copy, a coffee table quality photo book may be just what is needed. Prices span a wide range. 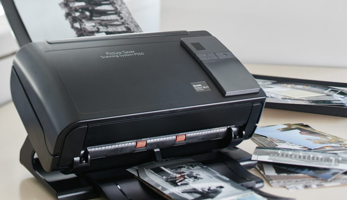 Whether you need hundreds of photos and slides scanned or thousands, our scanning services can accommodate to your needs. Everyone has stories. Few take time to record them. The value of taking the time to review photos of you and a parent while recording your recollections is priceless. The importance of spending the time reminiscing with a parent and grandparent cannot be understated. Your kids will value these stories as will future generations. Courtships are the foundation of family units and always make an interesting story. How did the couple meet? How long was the courtship? What were the best and worst times? What were the greatest challenges and how were they overcome? What advice do they have for other? Pregnancies are the birth of a new story? Each pregnancy and each child is unique. Record your pregnancy experience to share with your child when they get older. How did you feel? What were your hopes, aspirations, and fears for your child? Share your story with them when they are having their own first child. Inter-generational stories help children understand they are part of something larger than themselves. 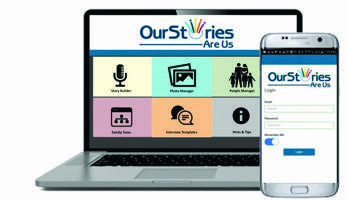 With OurStoriesAreUs, kids and grandparents can interview each other and create stories together and have those memories to cherish forever. 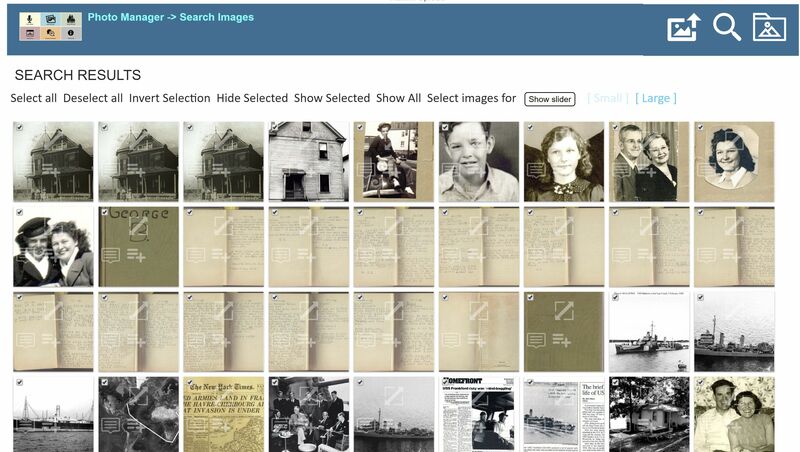 Preserve paper photos digitally in the cloud, accessible to all family or a select few. This module is designed to lead you through the process of telling your story or the story of a loved one’s life experiences. There are many elements that may need to come together when creating stories of someone’s life. 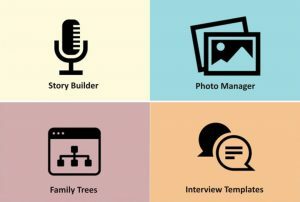 These elements include photos, graphics, interesting narrative, voice recordings and more. 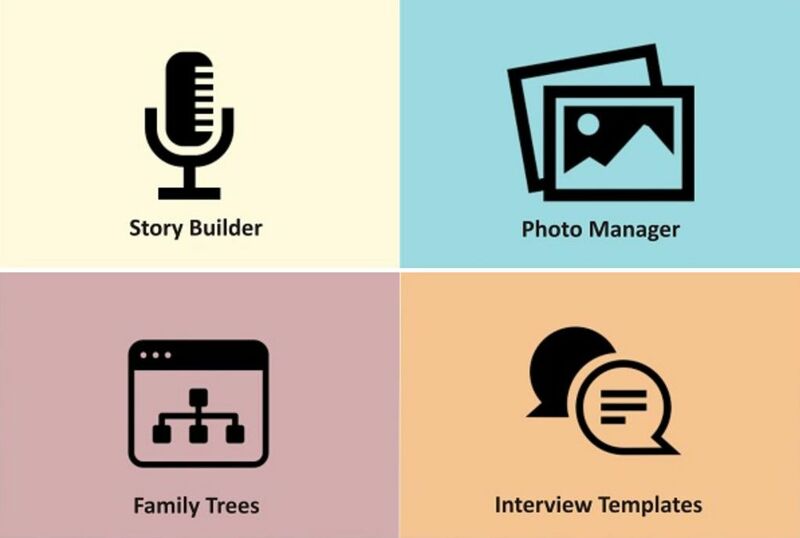 The Story Builder module includes a set of tools that bring all the pieces together. Storing photos gets more complicated as the collection grows exponentially. With our cloud storage solution family member in different households can access each other photos for viewing and story collection. Imagine being able to search for pictures of your grandfather whether you took it, your brother or sister took it, your Mom took it or even your cousins. Upload your entire photo collection to cloud storage and give viewing access to your entire family. You can even determine which family member gets to see which stories and view which photos. Each of us is a product of those that came before us. The People Manager is where you add family member names and define relationships. Having identified family members by name allows you to tag photos with who is in the picture for quick access. You can also create groups of people which allows you to share specific photos and stories with just those people in the group. 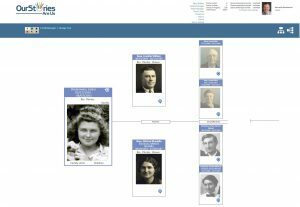 Family tree views are automatically generated from the Manage People module. In the family tree views you can quickly access a short bio of family members, quickly access all photos that person is in, and view all stories that relate to that person, It is easy to move up and down the family trees viewing multiple generations at a time. Photos by themselves have limited value. They very quickly lose that value within just a few generations leaving future generations wondering who’s that in the picture, where was that taken, what year was it taken? The true value of a photo is the story behind the photo. 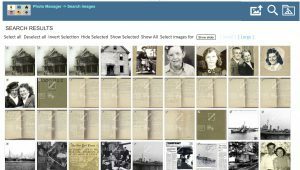 Our narrative development tool allows you to create a story wrapped around a set of photos that have been sequenced to help visually convey that story. Now that you have selected several photos, crafted a story narrative, you can bring it to life by recording the narrative right at you computer. Imagine hearing your grandfather talk about his experience in the war or your grandparents together talking about how they met, the hardships they endured and how they persevered. When the subject of the story has already passed, hearing the story told in the voice of the spouse, son or daughter is the next best thing. Audio only stories can be recorded even when there are no photos available. For those of us not sure what questions to ask when planning to interview a loved one, our Interview Questionnaire Generator allows you to build a custom interview questionnaire for any individual. Just select a category template and select the questions from that template to add to your custom questionnaire. You can edit each question to make it more specific to the person. You can add your own questions to the questionnaire. Once the questionnaire is created you can print it and take it with you to do an audio recording, email the questionnaire and let them reply to your questions in writing, or save it as a form where they can access it online and fill it out. This option is great because when used as a first step, their response to your initial questions will undoubtedly lead to additional question helping you drill down to reveal even more interesting details of their lives. Everyone’s life should be acknowledged! Whether you are a middle school student needing to interview your grandfather for a class project, an adult wanting to honor a parent or grandparent for a special occasion, an older adult who would like to write a memoir to leave a legacy for future generations, or even a family historian interested in archiving the history of your ancestors – you can do it all here one short story at a time. Is there anyone in your family worth remembering? Don’t procrastinate! This is important stuff. Nothing is more important than family. You have little to lose and everything to gain by joining today. Prices start for as little as a one-time fee of just $39. Join right here, right now.